Great show. I just switch my website following that Jam stack pattern. I was planning to use Azure Functions to add a few little twist.... I'm happy to see that I not alone thinking like that! Back in February, the fascinating David Frangioni made a trek up to Pwop Studios to geek out with Carl and Richard about music technology. Oh, the stories! Templates can make your life better! While at NDC in London, Carl and Richard chatted with Layla Porter about the power of Visual Studio Templates. Layla talks about trying to avoid repeating herself in code, and trying to document or remember best practices for the various projects she works on. The answer is templates - so that you can File-New a project with all that thinking already built in. And not just for new projects - you can template Visual Studio configurations as well! Impostor Syndrome is real and pervasive in the development industry - what can you do about it? While at NDC London, Carl and Richard talk to Rob Conery about the second edition of The Impostor's Handbook. Rob talks about how most software developers don't actually have an education in computing science, but that doesn't mean you can't learn - he talks about key bits of education you can add to your repertoire to help resist feeling like an impostor - you can do it! How do you measure the success of a feature in your application? While at NDC in London, Carl and Richard talked to Christine Yen about her experiences building instrumentation systems for applications both to diagnose problems and to understand how to make software better. The conversation digs into the scientific method of hypothesizing a potential feature, exploring different ways to build it and deciding on measurements of success - know when something works! Build your web site in F#! While in London at the NDC, Carl and Richard talked to Anthony Brown about the SAFE Stack - a complete set of tooling for building back-end and front-end parts of your website in F#! Anthony talks about the various pieces needed to work together, how debugging works, and his preferred tooling, including VSCode as the editor and some great plug-ins that make F# coding easy! Are you adding security to your application at the end of a development cycle? While at NDC in London, Carl and Richard talk to Victoria Almazova about how she encourages developers to include security planning as early as possible - it costs less and is more effective! The new tooling available today for security makes it easier to do the right thing, you just have to include it as part of the process. Have you heard of CSS Grid? While at NDC in London, Carl and Richard talk to Amy Kapernick about one of the new features in CSS introduced in 2017 on all major browsers. CSS Grid is not tables - and tables aren't inherently evil, they can just be used badly. With Grid, you can define flexible layouts and formatting for a variety of elements. And there's nothing you're doing that can't be tweaked effectively by designers when the time comes - check 'em out! Have you got a home assistant device? While at NDC in London, Carl and Richard talk to Sarah Withee about her experience with Mycroft, the open source home assistant device. As an open source project you can run Mycroft on your PC, or even a Raspberry Pi. The conversation turns to the concerns about constantly listening speakers and how having an open source project that lets you see what its listening to make that whole experience less concerning. And there's custom hardware too! How do you migrate your .NET application to current standards? 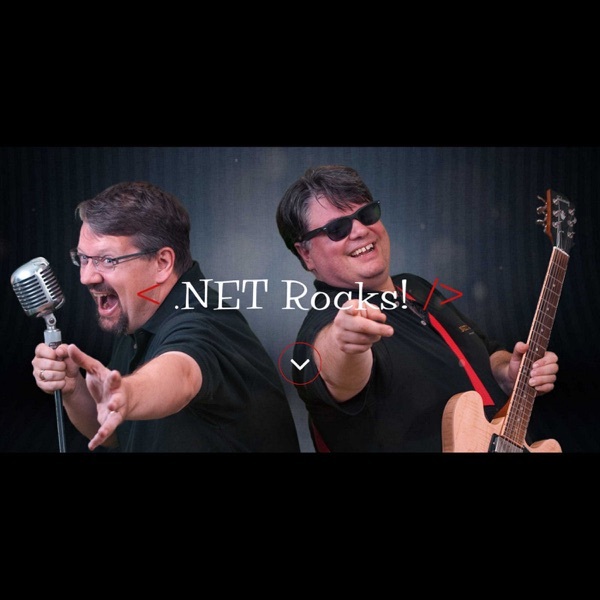 Carl and Richard talk to Rocky Lhotka about his approach to migrating existing .NET applications to .NET Standard. Rocky explains that many folks ask him about moving to .NET Core, but getting to .NET Standard is an easier move (but likely not easy) and offers more options in the long run, including .NET Core. The process starts with getting your .NET application upgraded to at least .NET 4.6.1, but it goes on from there - many organizations have a huge portfolio of older .NET applications - Rocky offers a plan to modernize! User Experience Design is on the rise! Carl and Richard talk to Billy Hollis about his latest thoughts and efforts around getting developers to design UX as part of their development process. The conversation dives into the change of thinking it takes to really understand how users work with your software and the interfaces change as you think about what someone needs to see and when. Billy also brings up the advantage of great UX - happier users, more users and more profitability. Software is also cheaper to maintain and educate on as well! Whether its mobile, web or desktop, you need great UX! How do you get into test automation? Carl and Richard talk to Arnon Axelrod about his new book on Test Automation and the concept of the Test Automation Maturity Model - the steps you take along the way to getting testing to be a key part of making quality software. Arnon digs into building the right kinds of tests, what tools help you move in that direction, and where skills need to be grown to make better tests and automate them in a way that they are part of every build, whether you ship the software at that time or not. Test automation is not just for SaaS apps - everyone can benefit! It's 2019, do you know where your containers are? Carl and Richard talk to Jessica Deen about her work with containers and how Kubernetes has come to dominate the container space, especially in the Microsoft arena. Kubernetes is a container orchestration engine that runs on-premises and all the major cloud vendors - but it is so much more than that, with an ecosystem growing up around it providing an array of tools that can handle your CI/CD pipeline and a huge array of elements for deploying applications. Check out the extensive set of links in the show notes! What does it mean to be cloud native? Carl and Richard talk to Vishwas Lele of Applied Information Sciences about his on-going evolution to be a cloud-native, and what means in 2019. Vishwas talks about the Cloud Native Computing Foundation, an organization independent of the major cloud vendors that helps with identifying and managing tools that make cloud native applications work! Vishwas digs into a variety of tools, starting with Kubernetes and with many more tools coming! The cloud is only getting more amazing! How do you debug? Carl and Richard talk to Omer Raviv about OzCode Debugging, including its ability to do 'time travel' or 'reverse' debugging - rather than stepping through code forward line-by-line, you can go any direction you want with any rules that you need. Omer talks about the years of work in OzCode and the array of features including understanding what your LINQ queries are doing in detail, writing conditional breakpoints and more.